User experience and customer experience, often these two terms are used interchangeably. However, there is a big difference between the two. It can also be said that user experience is actually a subset of customer experience. User experience, a common term when it comes to UX and web designers, refers to everything to do with creating smooth and seamless designs which will give users the ultimate browsing experience. 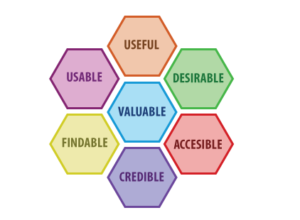 Peter Morville’s User Experience Honeycomb give us a clear idea of all the basic principles that every UX designer strives to achieve. And finally, the product design must be valuable which will lead to better customer experience, hence better customer satisfaction. To point out the difference between user experience and customer experience, one must understand that the former, UX, has almost everything to do with the product usage. The customer’s interaction with the product spells out the experience they have from it. Customer experience is a much bigger concept. 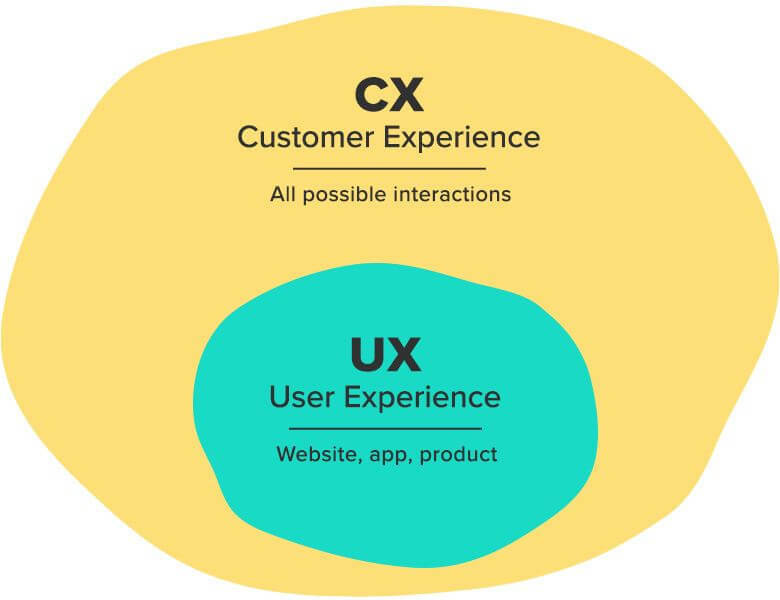 While UX is user experience mostly focuses on customer’s experience with the product, customer experience is concerned with the customer’s overall experience with the brand or the service. It starts right at the first point of contact. This could be a social media ad that takes the prospect to the landing page, the prospect’s browsing experience (user experience), the customer actually making the purchase, the sale, and it continues through delivery, installation, and after-sales support. As you can see, UX only occupies a portion of the entire buyer’s journey. But this is the portion which can ensure a conversion happening by helping the customer smoothly navigate through the website, product pages, CTAs and finally making the sale happen. However, even though you might have a stellar UX, but your customer sales support is bad, for example, that affects your customer experience, widely. This can also lead to the business doing poorly or even tanking. For example, you have set up a website that sells men’s shoes and the stunning UX is actually creating a lot of buzz and leading the prospects to buy the products. But, you do not have a proper logistics channel to handle the demand for the shoes or even support replacements or bulk deliveries. This results in growing customer complaints which quickly escalate to disgruntled customer, refunds, and loss in business. On the other hand, you might have an awesome supply and delivery chain and great stock of shoes of all varieties, but if your website seems cumbersome to your users/visitors, or if it fails to help them navigate easily through CTAs or clear action items, they might leave the site without making a purchase. Both, customer experience and user experience are quintessential to a successful business. Although the two concepts are largely different, they both cannot survive, exclusively. Would you like to create a stunning UI for your customers that will promise great user experience? We would be glad to help you out with it. Contact us here to know more.